Whenever you hear circles of car nuts talking, seldom is heard the conversation about that one true gem of a vehicle that will live forever in the owner’s Hall of Fame of great rides. There are plenty of stories of cars that broke down on the side of the road, cars that nickel-and-dimed someone to death, and cars that have problems which just cannot be solved. It’s just a fact of life. Cars are mechanical, and mechanical things are bound to break. So that we can give you the opportunity to find that one true gem you can brag to your car-nut friends about, here are a few of the used cars to avoid, as researched in Consumer Reports, Edmunds, Motor Trend, and J.D. Power & Associates. “Other than space efficiency, fuel economy and a really low price, the Aveo doesn’t have much going for it, and its biggest competitors are three-year-old compact cars.” (Motor Trend) Not much else really needs to be said about GM’s miniature sedan. It’s a great vehicle if you’re looking for something to get you from A to B for a couple years and then throw it away, but if you’re looking for reliable transportation that won’t nickel-and-dime you to death, look elsewhere. 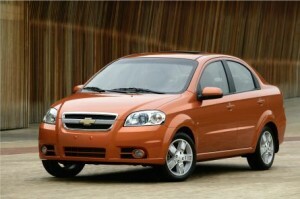 The Aveo is the one model that should be avoided at all costs. 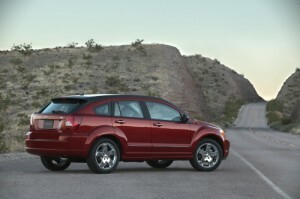 Not only does the Caliber possess little resale value, poor build quality, and Dodge’s history of transmission and computer problems, but it’s also overpriced and built on top of the platform of another Chrysler failure, the Dodge Neon. We bet you’re rushing right out to get one as we speak, aren’t you? Yeah, neither are too many other people. The fact that U.S. News rated the Caliber number 39 out of 39 possible choices for affordable small cars says it all. While its sister, the Caliber, ranks at the bottom of its list in overall quality, the Avenger is not to be outdone. Out of 19 contenders in the affordable midsize cars category, the Avenger takes the place of Number…19! That’s right folks, Dodge possesses not one, but two cellar-dwellers. Chrysler may want to consider adding some new engineers with all that government bailout money, because the ones they have don’t seem to be accomplishing much in terms of quality standards. You might be wise to avoid the Dodge lot altogether, unless you’re looking for a truck. We’re not just telling you to steer clear of the G6 because GM has discontinued the Pontiac line, we’re telling you to steer clear because it’s just that bad. “Although one of the few midsize nameplates to offer sedan, coupe and convertible body styles, the Pontiac G6 fails to stand out in any of the classes in which it competes.” (Edmunds) It lacks performance, handling and the overall feel that leads to a satisfying driving experience. If you’re looking for an affordable sports sedan, your money is better spent elsewhere. Not to mention it really is part of a manufacturing line that no longer exists. Jeep will always have its supporters. Off-road enthusiasts will swear by its dependability and prowess out of sheer respect for the Wrangler’s history. That’s about as far as the positives go on this one. The Jeep provides no on-road feel, poor reliability standards and mediocre crash test scores. It rated only five out of ten in the J.D. Power and Associates reliability studies and it remains a limited-purpose vehicle. Unless you’re planning a trip into the mountains, the Wrangler won’t provide much in the way of practicality for you. Caliber was NOT built on the Neon platform. That is the PT Cruiser.